To the east of the "Home Away from Home" building at 1117 E. Broadway, there was a large 1-story building with at least 2 storefronts. Craft’s Record Store was located in one side at 1119 E. Broadway until 1977 (or 1979?) when a fire in the dress shop next door spread to their building and they were both destroyed. The Crafts had a recording studio in the back of the building at 1119 E. Broadway with a music store and insurance business up front. The Craft brothers were most likely Dan Craft and his brothers. Dan had at least two records released. One with Chuck Comer on Style Wooten's Big Style label in 1964 ("Date with the Angels" / "Secret Love", Big Style #104) and the other on Craft Records, which was probably his own venture. It featured "Gone, Gone, She's Gone" b/w "Don't Say Goodbye" under the name of "Dan and the Craftsmen / Vocals with the Craft Bros." and credited Gene Williams' Cottontown Publ. from West Memphis with publishing, thus it was released sometimes between 1962 and 1965. The Delta label as well as CMC Records, which was operated from the same adress, were likely run by Dan Craft. Chuck Comer, Sonny Blake, Doug Stone, and others recorded for CMC. Memphis artist and radio personality Jim Climer (a friend of Eddie Bond's) recorded a gospel disc for Delta. I wonder of the producer of this disc, Stan Neill, was also Stan Neal, who was at one point a member of Eddie Bond's band in Memphis. And Johnny Lee? 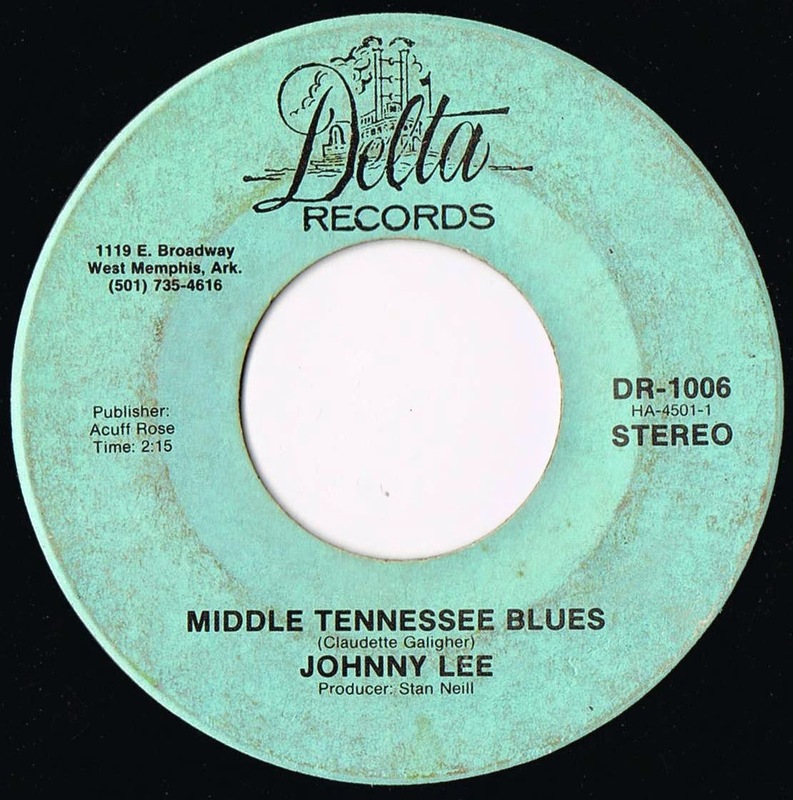 Of course not the same Johnny Lee of 1970s country-pop fame. This singer performs two Jimmie Rodgers style recordings. In fact, the flip of this one is a cover of Rodgers' "Waiting for a Train." 1119 Brodway, where Dan Craft's shop and studio was located.